On my first day as Dean of the Azrieli Graduate School of Jewish Education, three innocent Israeli victims of terrorism – teenagers – were laid to rest. The unity of the past weeks and the pain and sheer terror of the past few days beg consideration: are there any lessons here regarding what educators should be teaching their students? We are not the first generation, and I fear we will not be the last, that needs to teach children about danger and safety. Difficult lessons about a world where even children who do no wrong become ill, and where there are cruel adults and children who can and will hurt other children have been and will continue to be taught. Such lessons require delicate balance. If we err on the side of lollipops and sunshine, we lose credibility as trustworthy and knowledgeable adults when terror or trauma strikes. If we open children’s eyes wide to the doom, gloom and ever-present dangers, we risk raising a generation of anxious, terrified citizens. Whether it is the discomfort of modulating between opposite poles of all is good, and the world is evil, or the fact that when we cannot promise safety, it seems providing any guidance or support is futile, adults may avoid these tough lessons. In such adult silence, children are doubly traumatized. First, by the original events, which they have heard or seen directly or via friends or media, and secondly by having the adults in their lives fail to provide the nurturing they require. Adults are critical for children’s accurate assessment of danger. Young children’s limited understanding of time and distance creates notions that danger is too far or rare to be relevant, or that it lurks around every corner. Adolescents are particularly vulnerable to notions of their own invulnerability, and as the executive function regions of their frontal lobes continue developing, may struggle with decision making and risk taking. Children of all ages need the wisdom and comfort that only adults can offer. Beyond lessons of safety and protection, there is a specific critical curriculum that these inhumane acts demand we teach, with all our educational and human strength. Leave to politicians and others talk of revenge, justice, staying strong and sending warning messages. Educators, instead, must devote themselves to teaching caring and compassion, to making humanity the central component of 21st century curriculum. There is no greater time than now, when the digital universe brings us in contact with so many, and with so much pain. Our students are at great risk of becoming immune and inured to the cruelty that fills each news cycle and the violence that is realistically portrayed in video games and other media. Educators face enormous pressures to meet government and other standards, so we must make the most of our teaching time, and grab every teachable moment to build humane and caring citizens. When we teach reading, let’s look for stories of kindness and courage. When we teach writing, let’s engage our students in sending wishes of care, and in unfortunate times, condolence. When we teach science, let’s learn to be social emulsifiers, engaging even those who are different to “mix” in new and positive ways. When we teach history, let’s explore where inhumanity and violence has led us, and the victories of the spirit when caring triumphs. When we teach math, let’s teach the additive and multiplicative power of care, the paradigm from Ecclesiastes (4:9) that suggests how much better two is than one, for when one falls, the other can lift up his/her companion. In approaching the question of what, in these devastating times, we should teach, I am reminded of the therapeutic paradigm for deescalating intense situations. It suggests that the louder the out of control patient, the calmer and quieter the therapist should be. The more demanding the patient, the more options and fewer directions the therapist should offer. I have seen totally violent adolescents and tantrum ridden toddlers respond to this approach. While I know that the world’s political crises cannot be addressed in so simple a manner, I do believe that as educators what we can and must do is to match the seemingly endless resources of the world’s cruelty with equally powerful and pervasive lessons in humanity. Every class we teach, every grade, every school, should be filled with caring and kindness. We must send out into the world children who understand what it means to be a human being, and therefore to feel and do something about the pain of every other human being. It will not insulate them from the world’s cruelties or prevent all tragedies. But as educators, perhaps it is our not-so-small way to deescalate a violent world and arm our students with hope. 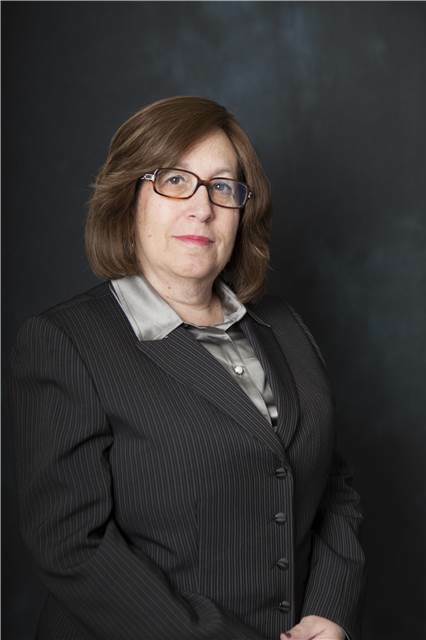 Dr. Rona Novick is the dean of Yeshiva University’s Azrieli Graduate School of Jewish Education and Administration. This op-ed originally appeared in The Times of Israel.